Thanks to donors contributing over $3 million annually, Elliot continues to improve and expand services for you and your family. But the clinical needs across the system remain significant. The Mary & John Elliot Charitable Foundation has kicked off our annual iGive campaign for 2018-2019 and we need everyone involved to continue to move Elliot forward. This year, through this iGive campaign and our fund raising events alone, we need to raise over $1.1 million to fund all the improvements which will in turn improve your Elliot experience when you need care. 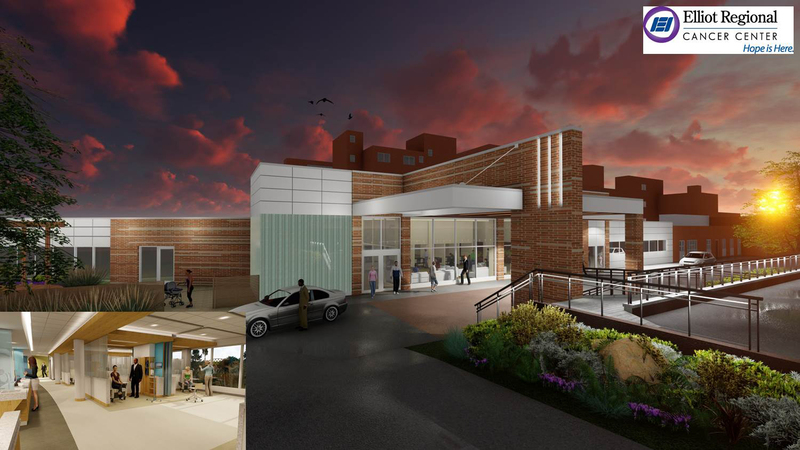 Your support will fund the expansion of local and comprehensive cancer services to better serve those facing cancer in southern New Hampshire and will help us build a new $29M Elliot Regional Cancer Center to better serve you, your family and your neighbors. Elliot Health System will be better prepared to meet the healthcare challenges of tomorrow within a state-of-the-art center focused on patient care and support. With your help, “Hope is Here”! Please help us continue to bring the very best healthcare to our community by making a gift today. It is not the size of the donation, but participation in the campaign that is so important. Every single gift makes a difference! Credit Card - to donate securely online using a credit card click here. Elliot Physicians and Employees - to give via payroll deduction or to donate unused earned time (a very popular option for our Elliot donors), click here. If you select the “rollover” option, you will not need to remember to make a gift every year, and will not be solicited while the rollover is in place. But you can modify your amount any time by contacting us. To contact the Foundation with questions, please call 603-663-8934 or email us at: foundation@elliothospital.org. Thanks so much for your support!